Supporters wanting to attend the New Year's Day derby match at Whitby Town are now able to book and pay for transport. Coaches have been arranged taking Boro supporters to Whitby for the New Year's Day fixture for just £5 return, with the game brought forward to a 1pm kick-off. 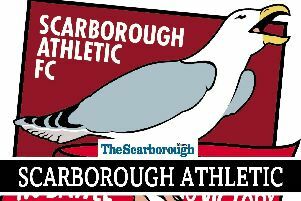 Tickets for Scarborough supporters go on sale tomorrow evening 4-7pm at the Boro Hub on Market Way, where supporters will also be able to book and pay for transport. This option will be available at the upcoming home fixtures with Hyde and South Shields and by contacting the normal away transport number of 07598 931572. To confirm your space there is a mandatory £5 deposit required per person. Supporters making the travel booking are advised to inform the club's volunteers of your pickup point to administer the journey. Pick-up points: Coach A only will have pickups at Manham Hill and B&Q then proceed to additional pick up points subject to seating availability. Boro have been allocated 1,200 tickets for the clash, which will go on sale at the Boro Hub on Thursday November 29 (4-7pm) and then from the Boro Hub when open and at our home game with Hyde United on Saturday December 8. Prices are £10 for adults, £6 for concessions, £3 for Under-18s and Under-16s with paying adults will be admitted free. Kick off at the Turnbull Ground has been brought forward to 1pm and fans will be segregated inside the ground.